When people come to visit you in SF (which they always do, because: SF), you inevitably end up dropping knowledge bombs left and right. "Did you know the fortune cookie was invented in San Francisco? By a Japanese guy? 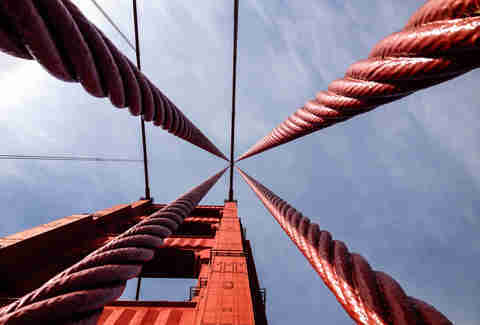 ", or, "the Golden Gate Bridge was originally supposed to be painted black with yellow stripes". 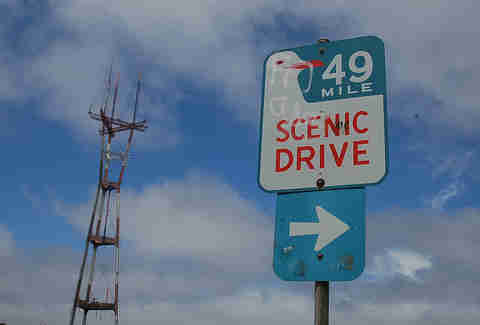 What about the fact that "the city's cable cars are the only National Historic Landmark that move"? And while it's awesome that you love to share how smart you are, did you also know that when you said THESE 11 things to your tourist friends, you were actually telling them huge, fat lies? Nooooope! While the bridge is painted continuously, it just gets "routine touch-ups". 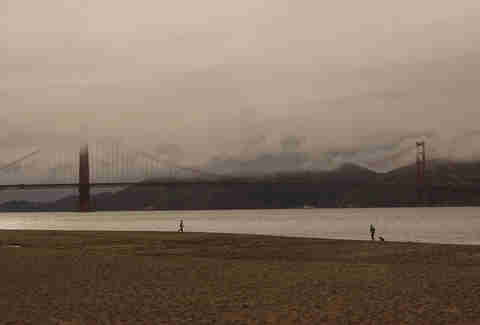 Also: the bridge isn’t red; it’s international orange. 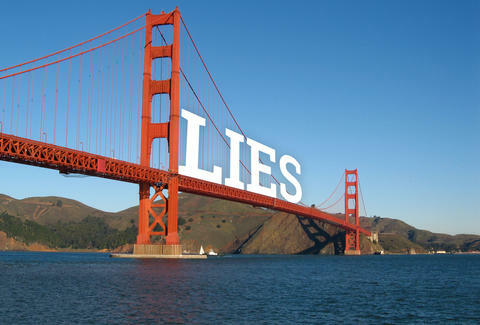 And it's named after the Golden Gate, not the other way around. And it's been closed three times due to high winds. Look! You're smarter already. Hahahaha no. Actually, it’s 46.69. But we get it: math is hard. Kidding! It's actually totally not! 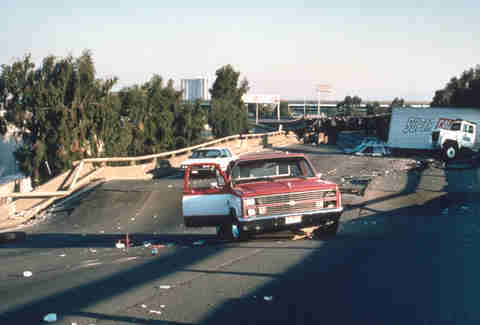 For some reason, whenever it’s warm and dry, people start mumbling about "earthquake weather". It seems obvious that's not real because, you know, SCIENCE, but just to clear it up once and for all: plate tectonics don’t give a damn if the sun is shining or if Karl the Fog is eating us alive. Even if they wanted to care, they can’t, since weather doesn’t affect things that are miles underground (don’t feel too bad, though -- even Aristotle thought earthquakes were caused by weather, specifically winds trapped in subterranean caves, and everyone knows he was hella smart). Yeah, no. 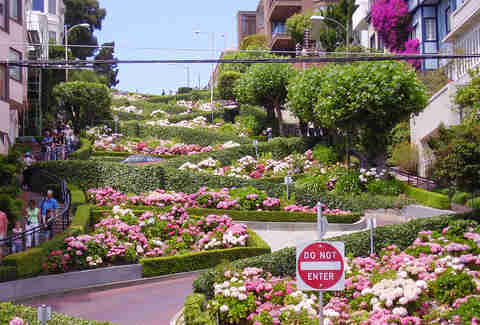 It’s actually Vermont St between 20th and 22nd St in Potrero Hill, which is also home to the Easter Sunday Bring Your Own Big Wheel race. WRONG! 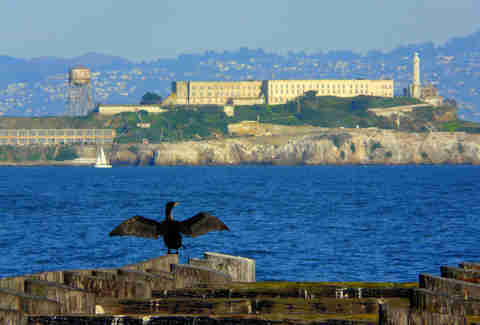 Robert Stroud raised over 300 canaries at Leavenworth Penitentiary, but when he was moved to Alcatraz after getting busted for making booze in his cell, he wasn’t allowed to have any birds. Also, unlike the "Birdman" in the movie, who is portrayed as sweet dude, he was actually a total jerk in real life (he killed two people -- was that ever really in question?). Nein! Nein! 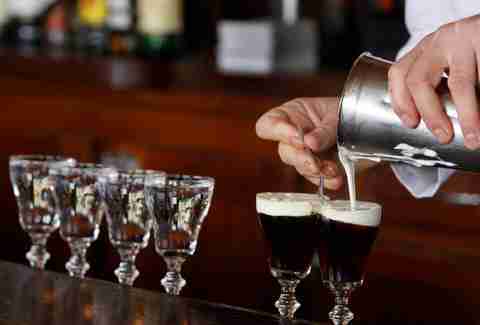 Actually, Irish coffee was invented in... wait for it: Ireland. In 1942, American passengers who arrived in Foynes, County Limerick (after an 18-hour flight on a flying boat and then a non-flying boat ride to shore) were given coffee with whiskey to warm their bones (the Irish put the whiskey in their tea, but wanted to cater to American taste). Irish coffee arrived at the Buena Vista Café a decade later, but only after the owner flew to Ireland to taste the real thing and perfect the recipe. Either way, BVC has still managed to sell more than 30 million mugs of the stuff. Some say fire hose, while others say the erection is, well... just that. 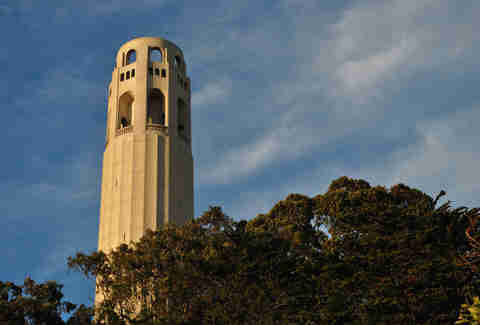 Though the tower was built at the bequest of Lillie Hitchcock Coit, whose obsession with fires and firemen was well known, the fact that Coit Tower looks like anything other than an Art Deco concrete column is a combination of coincidence and the 12-year-old that lives inside all of us. Sorry, but, well, uh, no. If you’ve heard it once, you’ve heard it a million times. Sadly, there’s no proof that Mark Twain actually ever said, "The coldest winter I ever spent was a summer in San Francisco". Even though we kinda really, really wish he had. Nooooooooooooooooo. 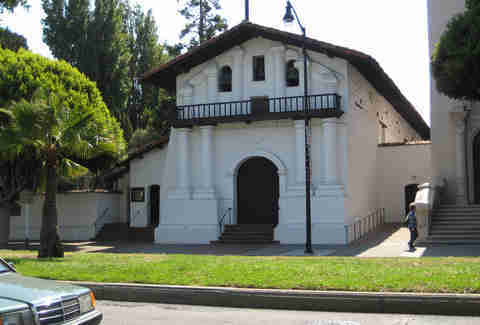 While Mission Dolores was founded in 1776, the current structure was started in 1782 and finished in 1791. 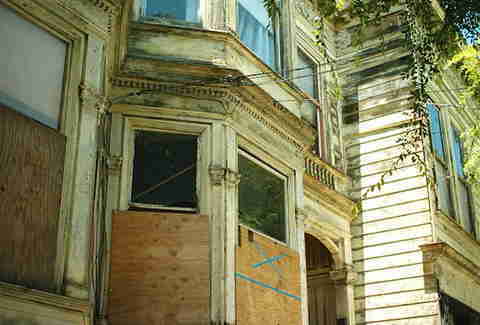 That means the Presidio Officers' Club, constructed by the Spanish colonists in 1776, is actually SF's oldest structure. 10. 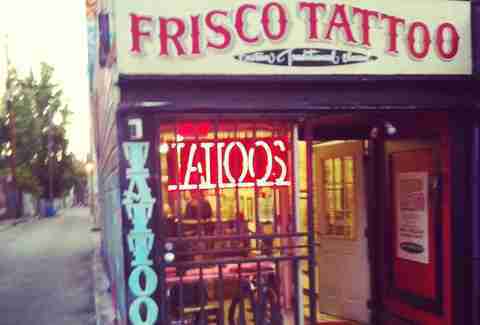 Herb Caen said not to call it "Frisco"
False. OK, sorta false: he named his 1953 book Don’t Call it Frisco, but he relented on his stance in a 1977 column when he wrote, "It’s okay, you may call it ‘Frisco now." And no, we’re never letting this go. Daisy Barringer is Thrillist's SF Editor and she's glad that the fact about SF having more dogs than children is actually true. Follow her on Instagram @daisysf for the most adorable dog pictures in all of the land.